When made with the proper ingredients smoothies are not only healthy but also help you maintain or lose weight the right way. But is a smoothie only diet good for you? In recent years, the popularity and trendiness of smoothies is continually on the rise. Health has become a habit for many of us. And, we are constantly searching for convenient and tasty weight loss methods. Choosing a smoothie as a snack or meal can be a great dieting option if health or weight loss is among your primary goals. But, a smoothie only diet should be approached with caution. What is a Smoothie Only Diet? The smoothie only diet, or as some call it an all smoothie diet, is just what it sounds like. All you consume for your meals for a given time period are smoothies. That’s it. Nothing else. 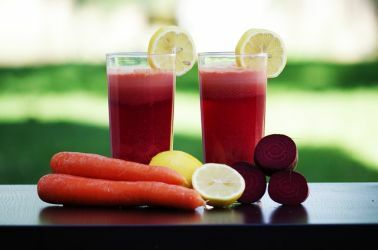 The premise is that by just drinking smoothies, you’ll be able to make significant weight loss. 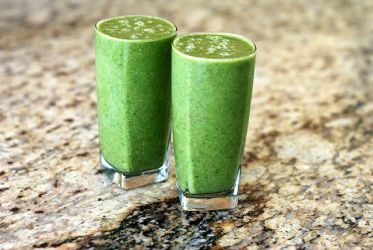 This all smoothie diet is a broader application of the green smoothie diet, which also employs only drinking smoothies for your meals. However, green smoothie diets, you mostly use green vegetables with a few other ingredients to taste. This kind of smoothie diet is even more troubling because you’re even more likely to fall deficient to the B vitamins, protein, calcium, iron and vitamin D.
The diet calls for using smoothies in place of regular meals. This means you’re skipping out on the carbs, protein and fat that’s usually on your breakfast, lunch or dinner table. Instead, you drink the smoothie. Those who promote it say that by adding the proper ingredients into your smoothie, you’ll be able to get the nutrients you need. And because these health drinks are lower in calories compared to whole foods, they’ll make you lose a lot of weight quickly. The thing with this particular diet is that it works. In fact, it works awfully well. We’ve seen people lose 30 to 50 pounds in a span of weeks to a just a few months. Also, we’ve experienced people seeing huge improvements in their cholesterol levels. And, we’re not talking about small 10 point improvements. But more along the lines of 40 to 60 point drops in cholesterol within that short amount of time as well. That’s the good news. And maybe bad as well. The reason is that because of the great results it is able to achieve, a lot of people find it very enticing to try or follow. So Why is an All Smoothie Diet Bad? Because it’s not really healthy. And, this is the main reason why we don’t recommend going through an all smoothie diet, or a smoothie only diet. We understand it produces tremendous weight loss results. However, it isn’t the healthiest way to do so. As you would imagine, it’s being extreme also makes it vulnerable to you gaining back the weight after you’ve stopped using the diet. It’s also a very difficult way to go about dieting. You’ll be depriving yourself of a lot of things. This eventually backfires after a few months or a year or so. One of the most important shortcomings of a smoothie only diet is will have nutrient deficiencies. 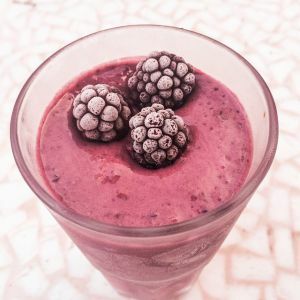 Unless you plan things very thoroughly, and even if you do, there’s a big possibility of your smoothies not giving you enough of nutrients your body needs. This is often in the form of protein insufficiency as well as lack of amino acids. You’ll also probably come up short in many of the essential vitamins and minerals. Now we’re not saying that drinking smoothies are bad. In fact, we’re saying the opposite. When made correctly, with the right amount of ingredients they’re very healthy and ought to be a part of everyone’s diet. They’re an easy way to supplement nutrients that we miss or don’t get from the foods we normally eat. However, smoothies alone, and using them in place of your meals isn’t a good idea. We recommend using smoothies to complement your meals. 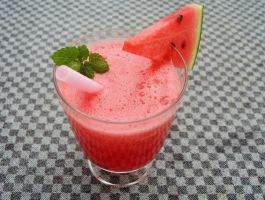 If you really want to lose weight, you can replace one meal every now and then with a well-planned nutritious smoothie. This way you’re cutting down on that meal’s calorie amount. Yet, getting the proper nutrients to fuel your body. And, more importantly, doing so without depleting or depriving your body in the process. It is important when having a smoothie as a meal that you do not pack it with sugars and forget to add protein. Adding a protein powder to the mix is an easy way to make sure your smoothie is worth it. It also ensures you get the proper amount of protein, amino acids and other nutrients that our bodies need. When it comes to the type of protein, be careful to choose a protein that fits your lifestyle and fitness goals. Choosing the right protein for you is as simple as visiting your nearest health food store and inquiring with an associate. Another helpful tip to add protein to the mix is by using peanut butter. For even more convenience, use a powdered peanut butter to avoid the annoyance of peanut butter sticking to your blender blades. If you aren’t averse to it, using a protein powder supplement along with your smoothie will ensure that you get the proper amount. Plus, you’ll be able to accurate calculate how much protein you’re adding to your smoothie drink. Contrary to popular belief, smoothies are also a great way to sneak in your daily veggie intake. If the idea of a green smoothie seems daunting, mix your fruits and vegetables together for a more pleasant mix. Spinach is a mild green whose flavor can be easily masked with fruits. Carrots are packed with nutrients, but are on the sweeter side and mix well with most fruit flavors. It is important to add vegetables when committing to a weight loss diet with smoothies or using it as a meal replacement. Do be careful about adding too much fruit however. Fruits are loaded with sugar. And while the sugar they contain isn’t as bad as the white refined sugar we’re familiar with. Eating a lot of fruit in a single sitting still gives your blood sugar a kick upwards. Avoid sugar filled smoothies later in the day as well. This is because your body will hang on to any sugars you don’t work off during the day. Another common mistake that makes a healthy smoothie into a dangerous treat is milk. Depending on your weight loss goals, as well as whether you’re lactose intolerant, milk may or not be a good idea. The good news is, you can choose from a variety of milk. So, you’re not limited to whole fat cow’s milk anymore. Try using almond, soy or skim milk in your smoothie. Stay away from whole milk as it is full of calories and fat. Almond milks can even be used as a way to introduce a flavor to your smoothie. Coconut, Vanilla and Chocolate milk alternatives come in a variety of exciting flavors. Then, top off your smoothie with some granola to get your daily fiber intake and to add some nice texture. For the perfect, healthy smoothie with your diet, it is all about proportions. Here’s a simple recipe to follow. Add a half a cup of frozen fruit, this gives your smoothie a frosty texture without watering it down with ice. Then, add a half cup of a healthy milk alternative, a quarter cup of granola, one serving of yogurt and a handful of greens or veggies. Make sure to alternate your fruits and vegetables for a well-rounded spectrum of vitamins and nutrients. The most important thing to remember in a smoothie only diet, or any health endeavor is moderation. Don’t slack off, but don’t overdo it. Being healthy is always about listening to what your body is telling you.